Create free standing sculptures composed of wood clothes pins. 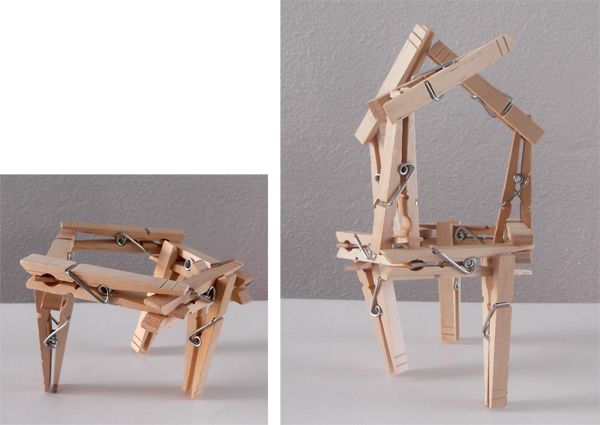 The goal of this activity is the kids to understand the concept of modular constructions and to experiment with an interesting technique of grasping and joining things together: When the two prongs of clothes pins are pinched at the top, the prongs open up. When released the spring draws the two prongs shut, gripping anything in between. In general, 3d crafts activities are an excellent opportunity to experiment with balance and three dimensional space. 1. 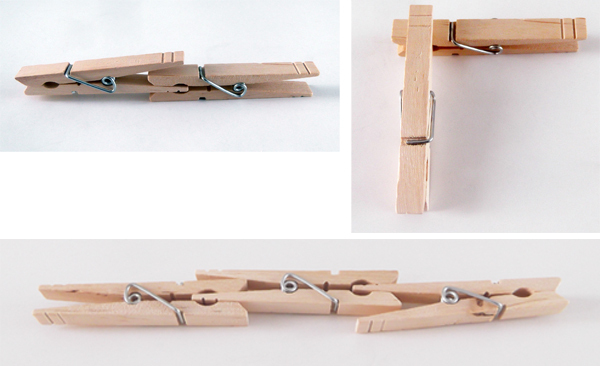 At first you should allow kids to think how they can connect two or more clothes pins together without using glue or other type of fastener. Let them show you in practice what they think. 2. Ask kids to try to create simple 2d forms, such as geometric shapes (triangles, polygons, squares), letters, linear forms and other. 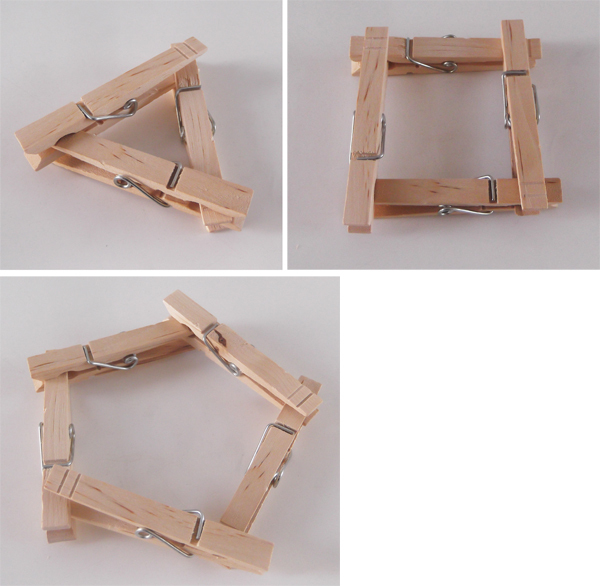 This easy exercise is a good opportunity to warm up with the material & to understand the modular possibilities of clothespins. 3. Before embarking on large scale 3d structures, it is a good idea to create small scale structures using two or three modular units. Let the kid think about free standing forms and the role of gravity. 4. 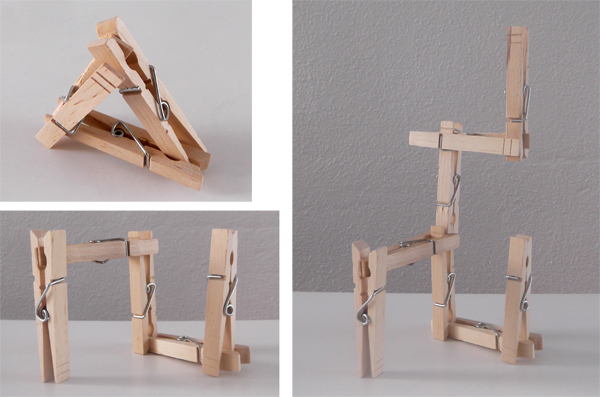 The previous warm-up exercises were necessary for the kid to understand the modular possibilities of clothespins and what he can do with these units. 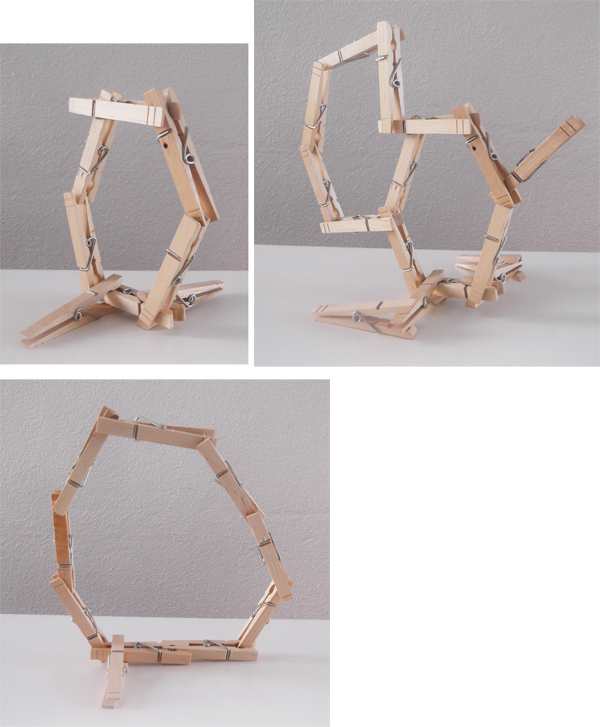 After that, he/she can experiment with more complex structures. In general there are two directions of expansion: Either vertically or horizontally. The major obstacle in going upward is definitely gravity. There are several other questions that you can discuss with kids such as the materiality of wood, the modular architecture, or more technical issues such as why this type of joining allows rotation. 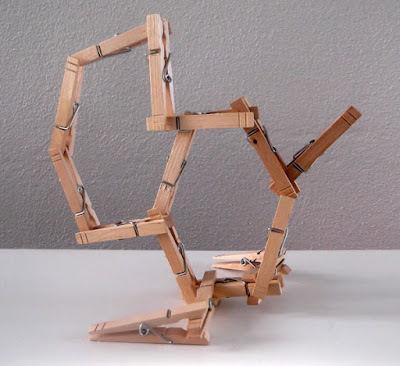 The structures can be abstract or imitate real-life structures, such as buildings, bridges, crane trucks, pieces of furniture or something else. 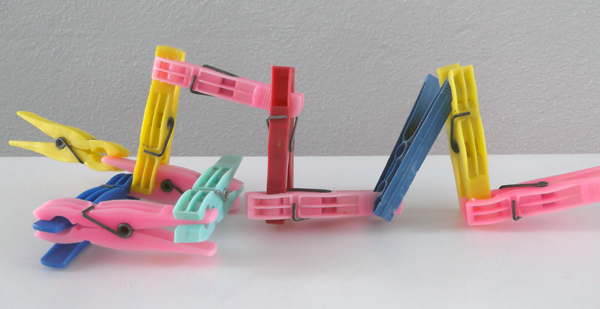 Is is preferable to use wood clothespin but you can also try plastic ones. The result will be more colorful. 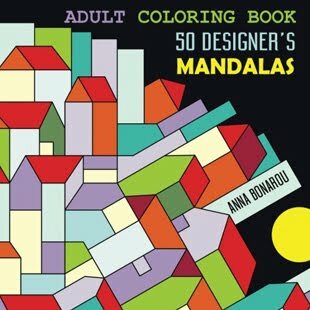 Recommended Educational Books that introduce children into the world of sculpture and Architecture.